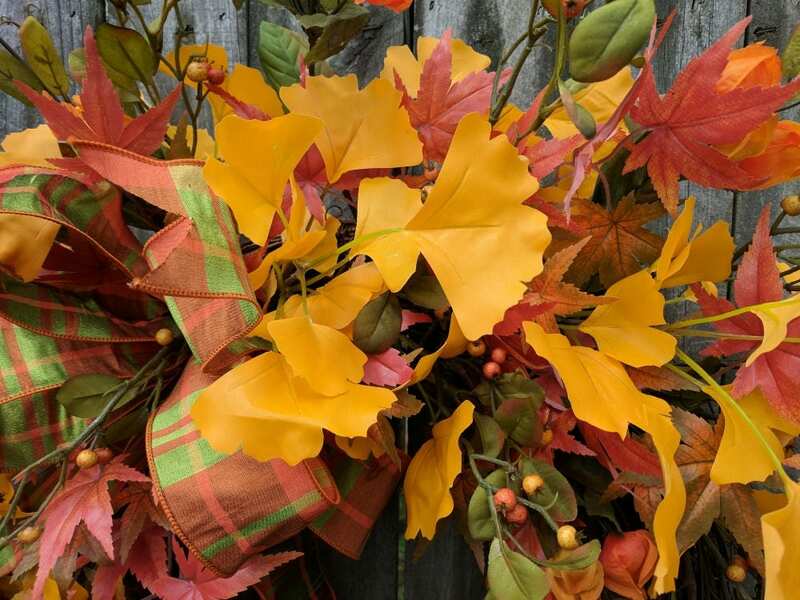 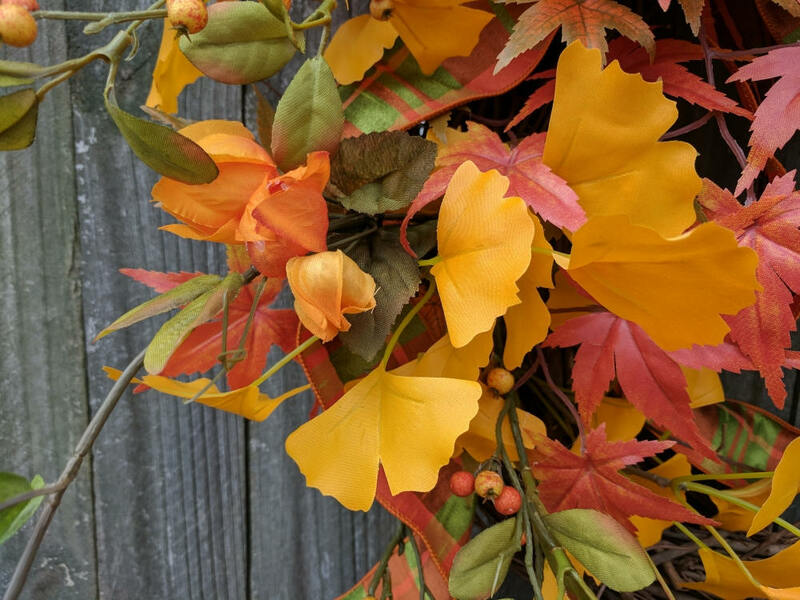 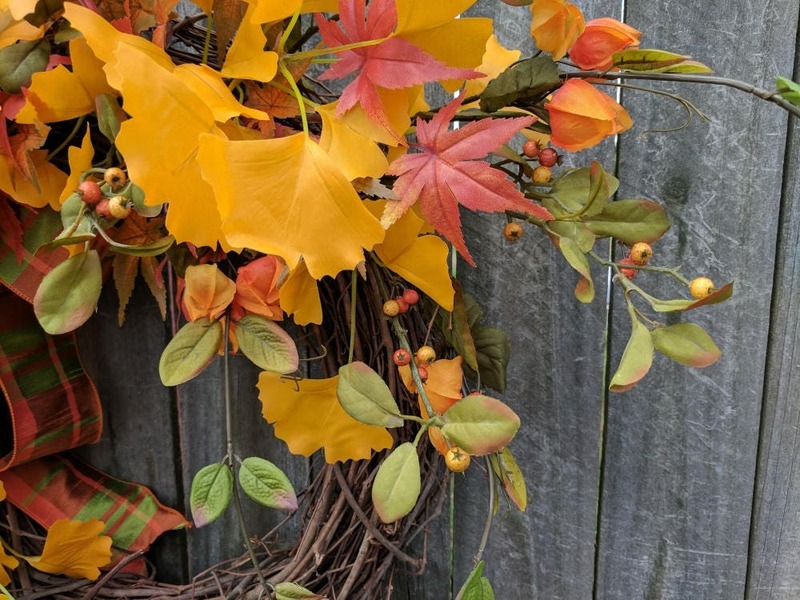 This beautiful wreath is characterized by life-like ginkgo and maple leaves in various stages of fall color. 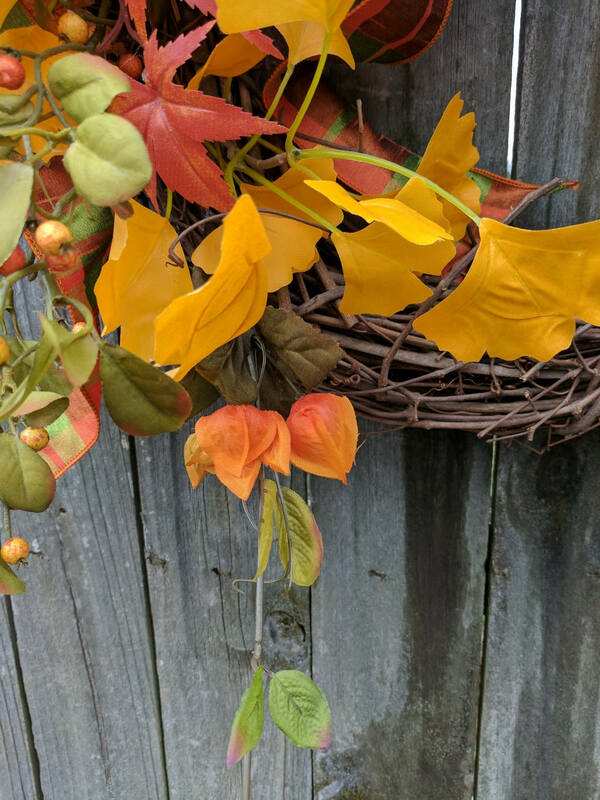 Fall berries peek out from the leaves. 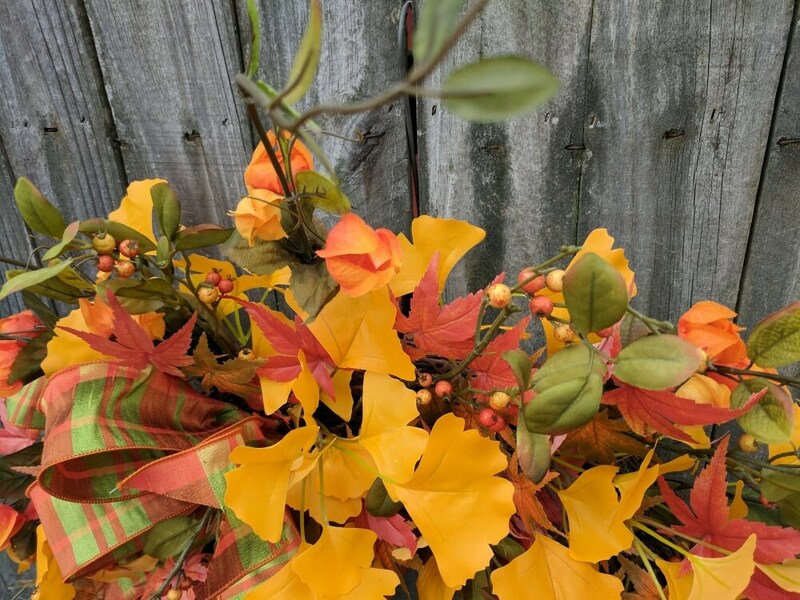 Wild Sprays of Japanese Lantern shoot out creating an over-the-top look. 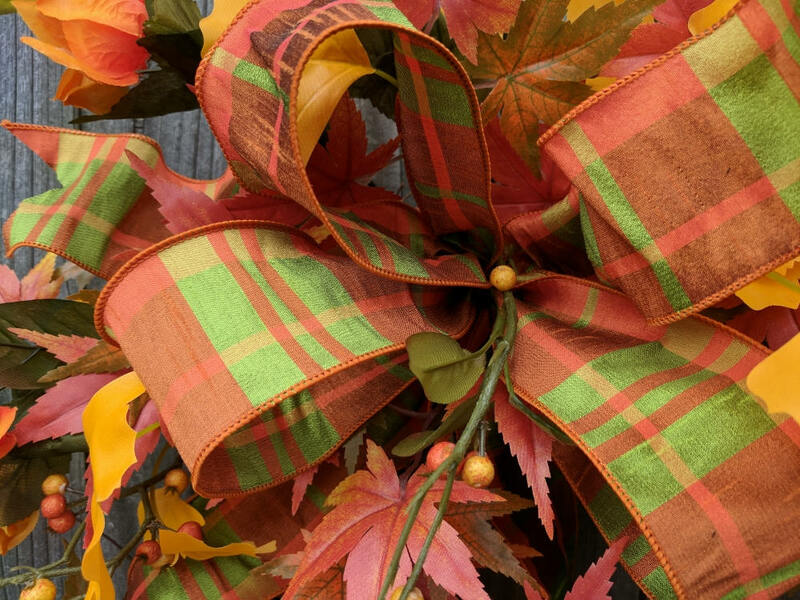 A wired faux silk plaid ribbon make a lovely bow. 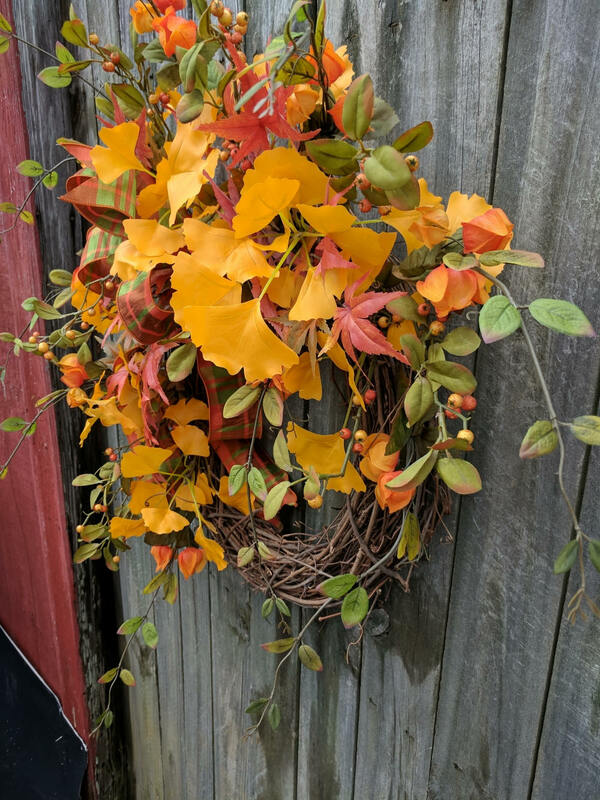 The ribbon is wired for easy re-fluffing from year to year. 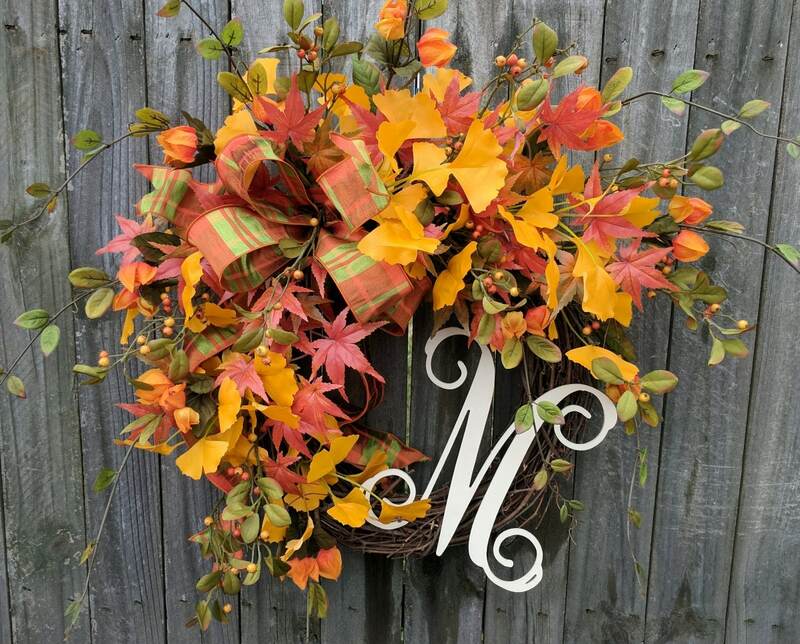 This wreaths leaves and berries are airy in places with areas of grapevine peeking through. 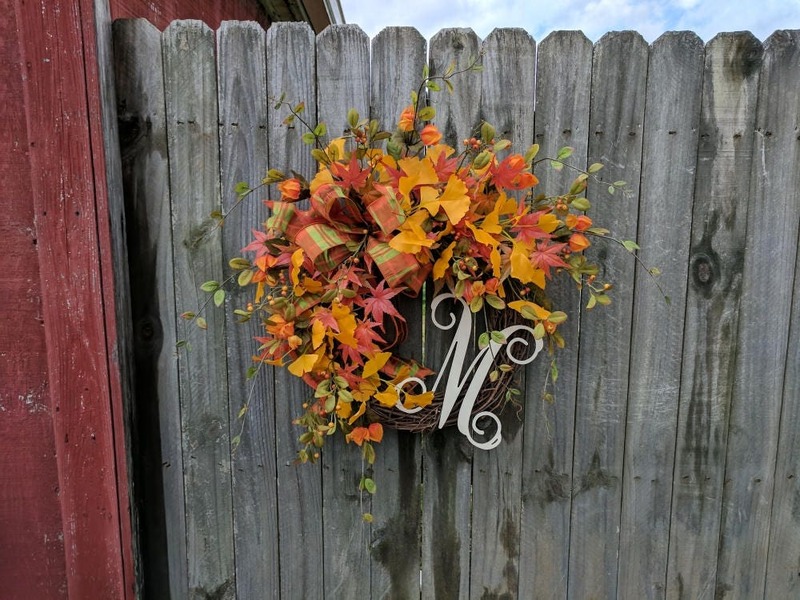 This wreath is a perfect harvest time decoration!